Les Vignerons d'Estezargues is a cooperative in the small town of Estezargues, located southwest of Avignon. The co-op is a truly unique [concept] in the wine world, and all over the country they play a very important role in the production and sale of wine. They receive and blend together grapes from a variety of vineyards, and are known for placing a heavier focus on the quantity of wine produced rather than the quality. Les Vignerons d'Estezargues, founded in 1965, however, takes a fundamentally different approach than the standard cooperativen. Starting in 1995, the ten different growers within this co-op began to vinify their wine separately and make single cuvees from their best plots. 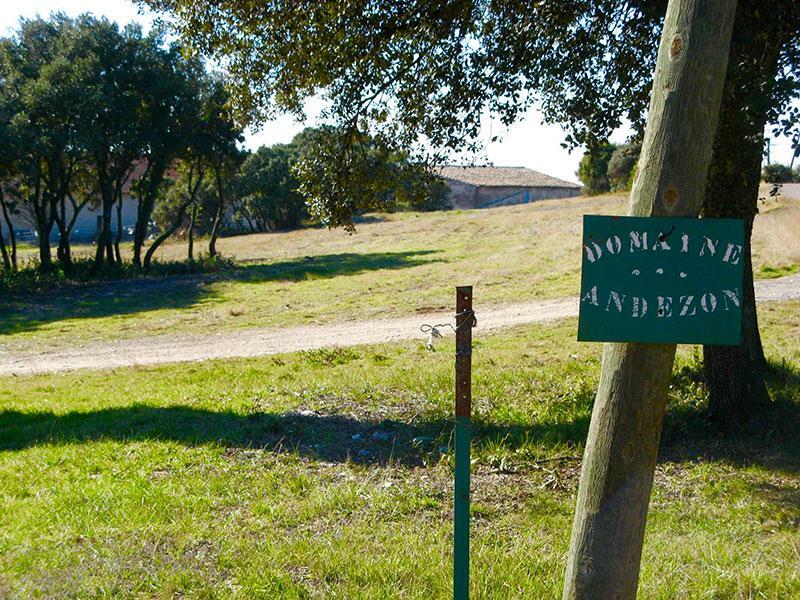 On the heels of the single cuvee project, Les Vignerons d'Estezargues began to practice natural winemaking, and they might possibly be one of the only co-ops in the world to do so. They don't use any cultured yeasts, filtering, fining or enzymes during the vinification or aging processes, and only add a small amount of SO2 during the bottling stage. In 1994, Eric Solomon visited the Vignerons d'Estezargues and met a young, passionate director and winemaker named Jean-Francois Nicq. By the end of the day, they had decided on a custom bottling of old vine syrah from one of their best parcels, Andezon. This opaque-black, blockbuster Syrah could have been a top Northern Rhone wine, a la Cornas. What a find! Previously sold in bulk (vinous suicide) to a very famous producer in the Rhone Valley, Eric jumped at the opportunity. Over two decades later, it still remains one of the very core items for Eric Solomon Selections. Wine Advocate 89 "Solomon’s custom cuvee, the 2013 Cotes du Rhone Andezon, was aged totally in concrete vats. It reveals a dense ruby/purple color as well as lots of smoky, frying lard-like notes intermixed with notions of blackberries and cassis. Solomon calls it his “southern Cornas-based” wine.